Though it was still quite cold, we actually were lucky enough to have a few sunny days in Paris. It was mothering Sunday and I remember coming out of a show at the Westin Paris and face-timing my mum as I walked over to the Tuileries. It was the brightest bit of sunshine I think I’d seen in 2016 yet so I had to walk my mum around the gardens whilst we chatted - the joys of technology hey? I was so happy I got to see her open her Pandora present too. 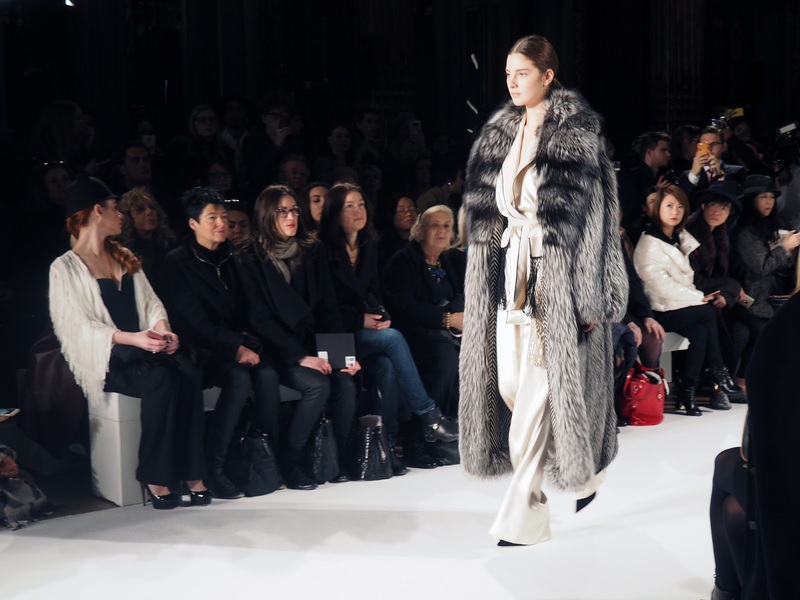 The show I’d just come from was Valentin Yudashkin, it was my first time seeing this designer and I’d always marvelled at their decadent and ornate designs so was looking forward to seeing the autumn winter collection in person. In a grand room within the Westin Paris hotel, paintings and chandeliers a plenty, the setting couldn’t have been more appropriate. 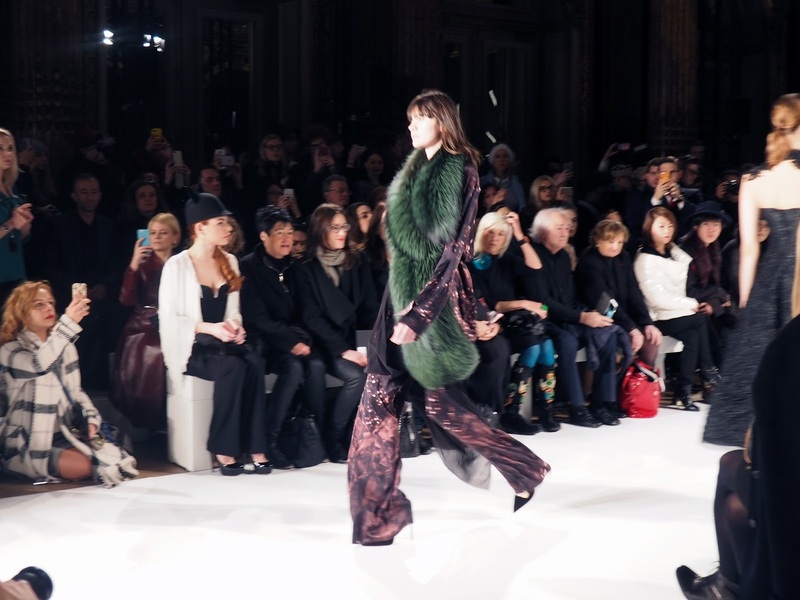 The collection itself was a rich mix of jewel tones and luxe fabrics, from blood red silks to emerald fur details it was all about the textures. So luxe and chic that the collection actually got me a little excited for the new winter season. Each show guest also left with a pair of Valentin Yudashkin mohair mittens which was a lovely little moments from the wonderful show. Following a stroll around the Tuileries, it was time to head back to our apartment and pack up ready for the next part of our trip. But before heading over we had one more show and a spot of brunch was in order - it was a Sunday after all. We were kindly invited to the Buddha Bar hotel in Paris to experience their Sunday brunch where we got to taste some wonderful creations that I can’t wait to tell you all about in an upcoming post. 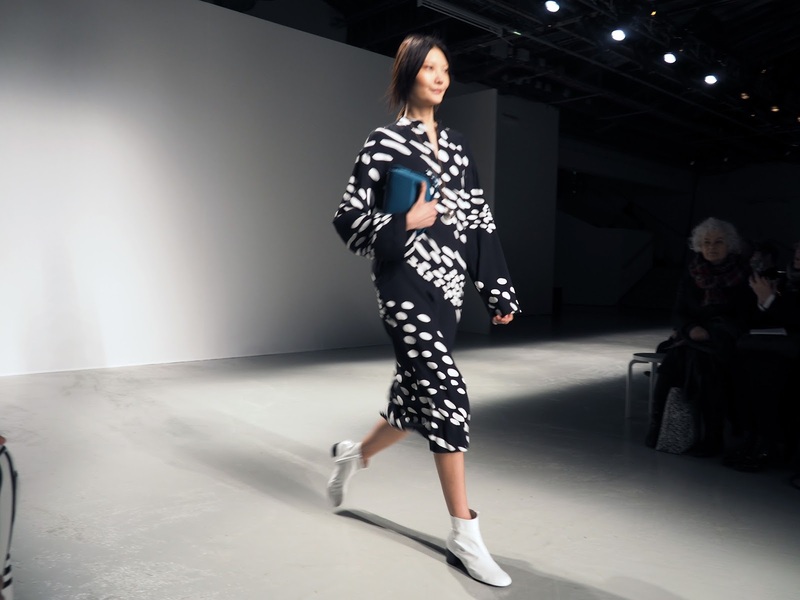 With full bellies, we headed back to the 16th to Palais de Tokyo for the Marrimekko show. This collection was really cool. Androgynous silhouettes made their way down the catwalk across boldly printed tunics, colourful suits or padded jackets. The colour palette transitioned between smart reds to monochromes and blues to greens and khakis that were spotted with flashes of baby pink. 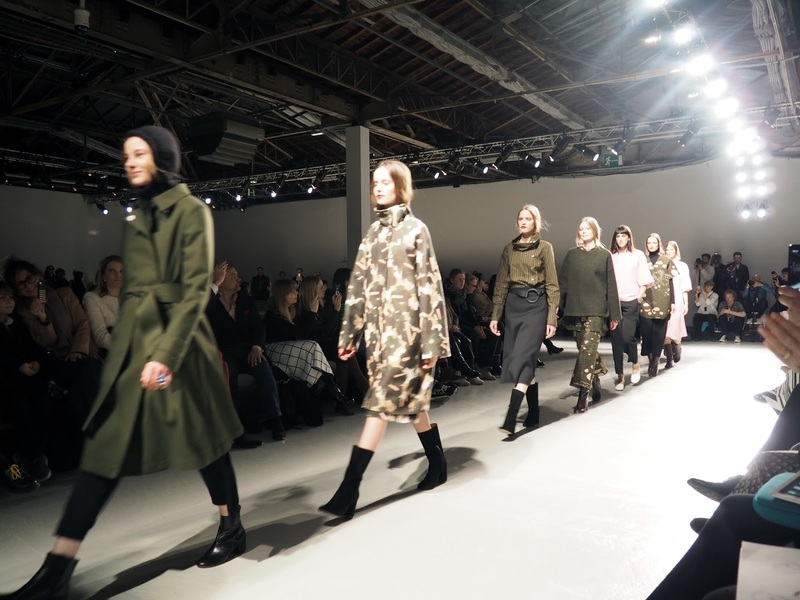 Kind of like an impeccably dressed girl army, the models wore relaxed straight ponytails or sleek ‘dos that wonderfully juxtaposed some of the crazy beautiful prints they were wearing. A brilliantly solid collection that I was so impressed by. The collection looks amaing, also love your outfit! Such a pretty lace dress! You are beautiful as usual. I love to read your blogs. But it is long time you have not posted new blog. I am waiting for your new post.